Educators seeking to maintain an active public school certification status and meet the requirements of Act 48 of 1999 will find that Misericordia University’s Professional Development Program provides challenging, rigorous courses offered in a flexible format. All courses are fully online and on-demand! Finish in as little as 2 weeks! ARCH professional development courses are non-matriculated graduate credits. 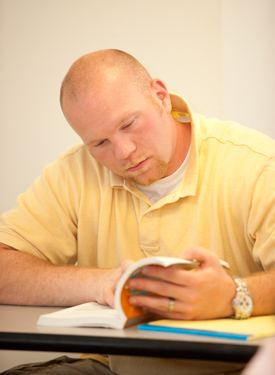 Students earn 3 credits, equivalent to 90 continuing education hours. Click here to view our Spring and Summer 2019 Professional Development course offerings and descriptions. On-Demand professional development courses are transcripted as non-matriculated graduate Misericordia University credits. Click here to view the current On-Demand PD course listing and to register. If you would like to register for ARCH Professional Development courses at Misericordia University, please download and complete the Professional Development Registration Form and submit via email to Karen Cefalo at kcefalo@misericorida.edu or by fax to (570) 675-2441, Attn: Karen Cefalo, Admissions. Click here to register for MU On-Demand Professional Development courses. In order to receive ACT 48 credits, please download and complete this ACT 48 Credit Reporting Form and submit via email to Betty Ann Duffy, eduffy@misericordia.edu, or by fax to 570-674-3052. For questions about any of Misericordia University’s Professional Development courses, please contact Karen Cefalo, Assistant Director of Admissions, at kcefalo@misericordia.edu or (570) 674-8094.